Recorded during a peace concert in Budapest in 2004. Filmed by kedarvideo, Switzerland. On his 74th birthday on August 27, 2005, Sri Chinmoy received a huge birthday cake with more than 27,000 candles, complied by record champion Ashrita Furman (see video). 11 years later on August 27, 2016 he transcended his record by lighting 72,000 candles on an even larger birthday cake. Both records were made in Queens, NY, Filmed by kedarvideo, Switzerland. 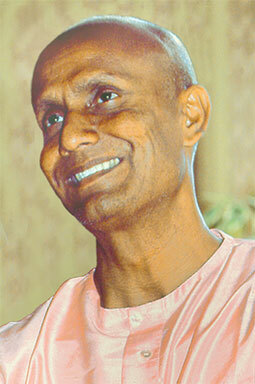 On his 74th birthday on August 27, 2005, Sri Chinmoy performed a selection of his English songs. Filmed by kedarvideo, Switzerland. On his birthday on August 27th 2004 Sri Chinmoy played the sitar as part of the festivities. Filmed by kedarvideo, Switzerland. Sri Chinmoy paints Jharna Kala (fountain-art) with spiritual qualities such as: aspiration, hope, etc. Footage by Mridanga Spencer. Sri Chinmoy (1931-2007) played on many pianos throughout the world and each time made unique musical creations which were powerful and soulful at the same time. This video brings you to NY, more precisely to the “Aspiration-Ground” of the master where he played the instrument at his 71st birthday on August 27, 2002. Filmed by kedarvideo, Switzerland. To celebrate his 38th Anniversary of his arrival in the West, Sri Chinmoy gave an open-air concert with 38 different instruments on his “Aspiration-Ground” in Queens, New York, on April 13, 2002. This is the final performance: a piano piece. The bird illustrations are also created by Sri Chinmoy. He calls them soul-birds! Filmed by kedarvideo, Switzerland. In June 2001 Sri Chinmoy (1931-2007) gave a peace concert in the Spectrum Hall in Oslo concluding with this piano improvisation and a silent final meditation. Filmed by kedarvideo, Swtzerland. In June 2001 spiritual teacher Sri Chinmoy (1931-2007) and many of his students from around the world visited the Norwegian capital for a full Peace Week. Among them was the inauguration of a Peace Flame sculpture, an art exhibit and poetry reading at the City Hall in Oslo, a talk and concert at the Oslo University and various lifting ceremonies. This video covers the concert at the Oslo University. Filmed by kedarvideo, Switzerland.